I realised the other day that it has been a VERY long time since I last posted an instalment of CYRIL's adventures on STARLOGGED. Normal service will be resumed soon (I must... 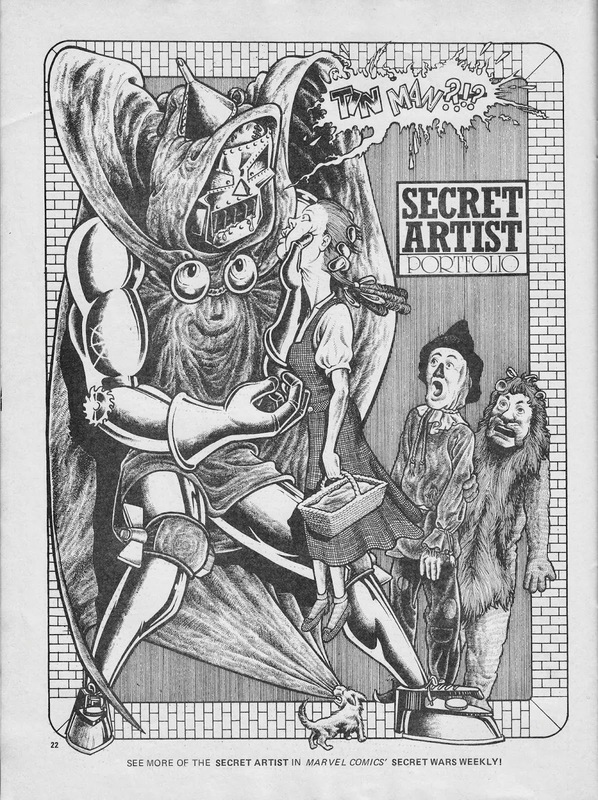 I must) but - in the meantime - here's a rather special episode: When CYRIL met the Secret Artist! 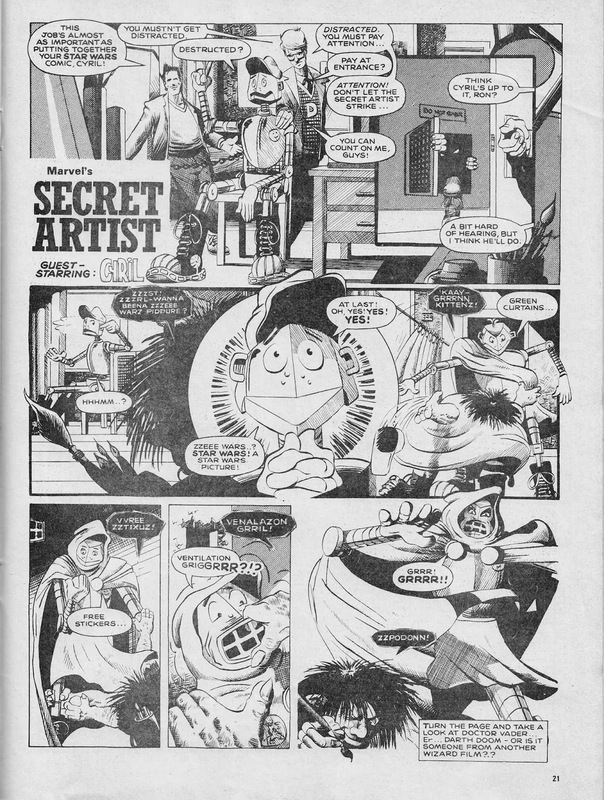 For those unfamiliar with the mysterious menace of Redan Place, the Secret Artist was a regular two-page humour feature in the earliest issues of MARVEL SUPERHEROES SECRET WARS (aka SECRET WARS). It always followed the same formula as this episode: a page of strip followed by a full-page revelation of the latest "character assassination" by the purveyor of twisted portraiture. Of course, CYRIL was also working at the British Bullpen so it was inevitable that the two would cross paths. This strip originally appeared in an issue of SECRET WARS (I'm not sure which one) but was reprinted in RETURN OF THE JEDI issue 115 (31 August 1985), which is where I scanned this from. 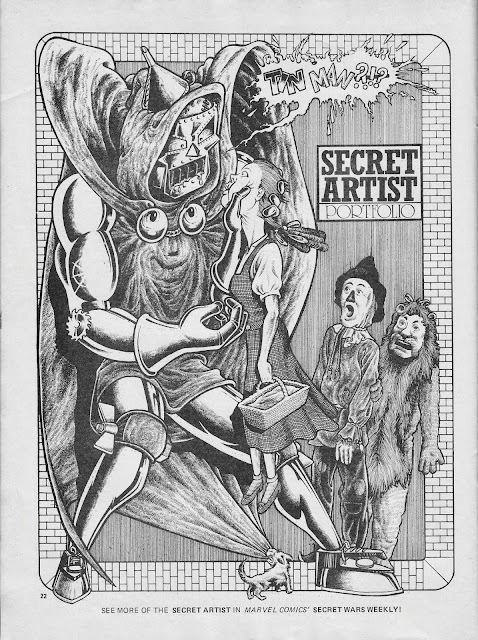 A full run of SECRET ARTIST scans is buried (deep) in my mental STARLOGGED to-do list but it won't happen anytime soon as I have to unearth the issues from storage.